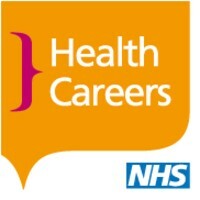 Did you know that if you visited the NHS website, you will find over 350 different career paths listed! 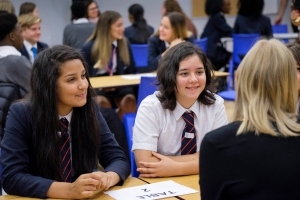 Health Education England (HEE) have teamed up with Inspiring the Future to get more NHS staff into schools on a regular basis, talking about the breadth of interesting roles available and encouraging school children of all ages to consider a career in the NHS. 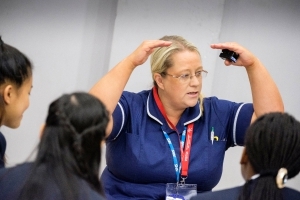 Have you got an hour a year to inspire the next generation of the NHS? Use this link to register as an NHS Ambassador and complete our quick registration process, adding the postcodes you can volunteer from and information about your role. Respond to invitations from schools that will arrive directly to your inbox and use our interactive maps to search for opportunities near you. 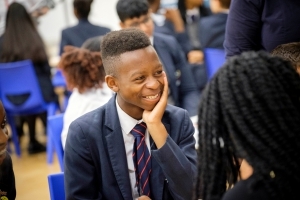 Connect with the teacher to plan your activity, whether it is giving a classroom talk or delivering an interactive workshop. The National Health Service turned 70 on 5 July 2018. We saw this as the perfect opportunity to celebrate the achievements of one of the nation’s most loved institutions, to recognise and thank the extraordinary NHS staff and to inspire the future NHS workforce. Read more about the event here. 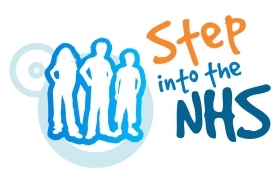 Become an NHS Ambassador by clicking here. You may be contacted by primary schools all the way up to sixth form colleges and it is up to the school and yourself to plan the activity. You will be provided with access to materials to support you and tips about going into schools and engaging children and young people.